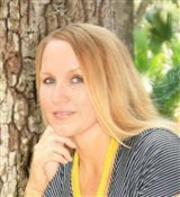 Alicia has lived in Brevard County since 1992, originally an army brat her family moved around, she has lived in Texas, Kansas, Ohio, Germany, Tennessee, and then moved to Florida. She loved growing up in Melbourne and then being able to also raise her children here. With a very successful 17 years in Healthcare, she brings a caring nature and expertise helping families in the community find resources. Why choose Alicia as your real estate agent? For one thing, she listens and cares about your wants and needs and will work tirelessly on your behalf to assist with what will be one of the biggest experiences of your life. She is also very knowledgeable about the area and knows the neighborhoods inside-out. Alicia is here to help you select the best home for your family’s needs.